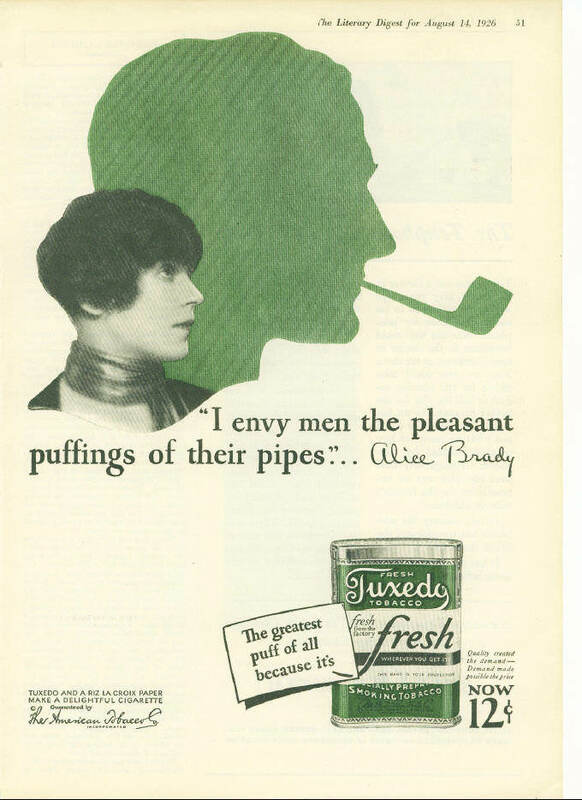 Is it.. not normal.. to lick your pipes? Oh man.. it's threads like this that reassure me that I am not alone. Then there's this guy. I think he's gone full pervert! Here's the last one in the series. I'm thinking, you gonna smoke that or what? 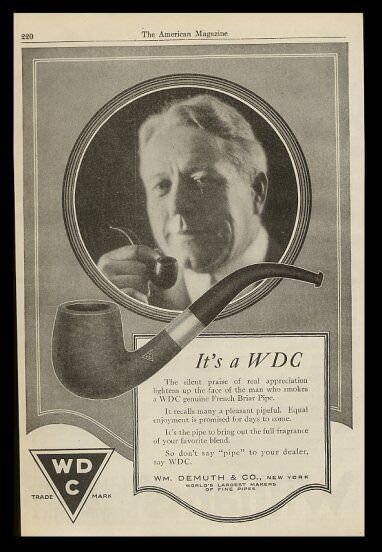 This ad would cause an uproar if it ran today. 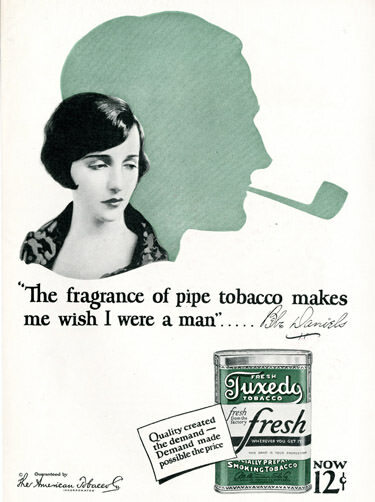 There's a whole series of those Tuxedo ads from the mid 20s. This one is 1926. 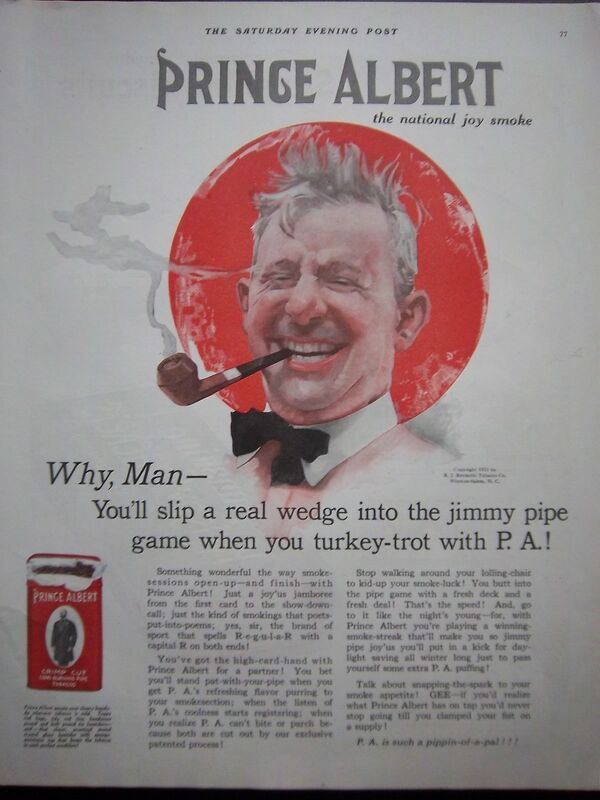 The "Jimmy Pipe" Prince Albert ads were popular for a number of years. I think the earliest I have is 1911 and this one is 1921. I am amazed at how slang heavy the copy is! Maybe they were trying to break into a younger, more hip market. I like the daylight savings time reference. I just realized that I have a fair number of old Bulldogs like the one in the ad. Good smokers every one! Yes, but are they jimmy?